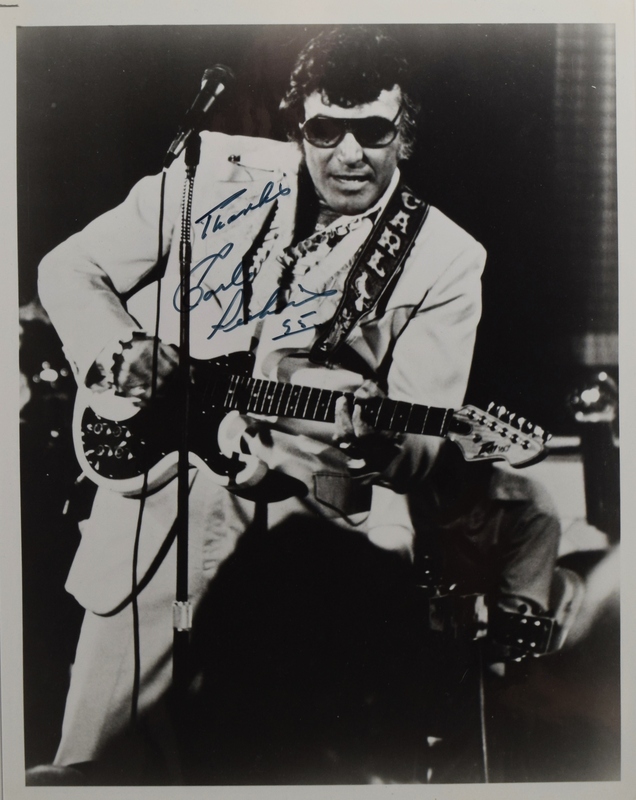 vintage glossy 8 x 10 signed in blue ballpoint, “Thanks, Carl Perkins fine condition. Carl Lee Perkins (April 9, 1932 – January 19, 1998) was an American singer-songwriter who recorded most notably at the Sun Studio, in Memphis, beginning in 1954. His best-known song is "Blue Suede Shoes".